Earlier this week the Wits Rugby team got smashed by Tukkies in Monday’s Varsity Cup match. 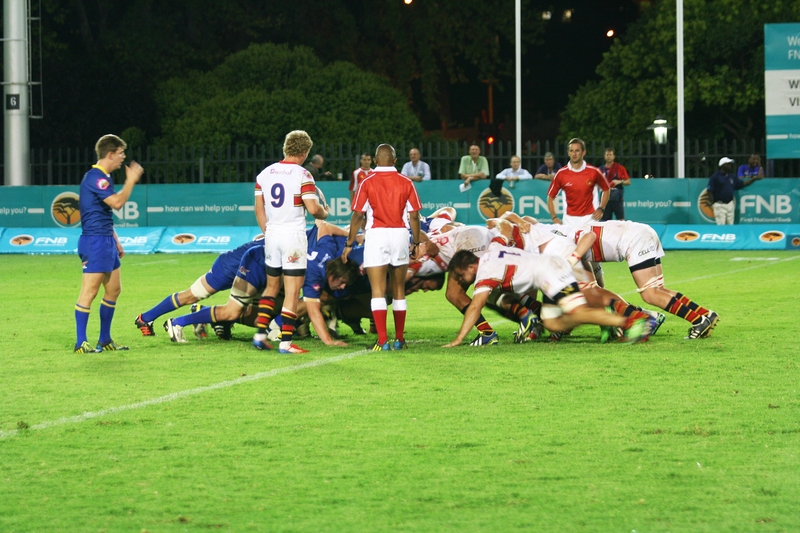 Tuks is known for their rugby and being a physically aggressive team. Wits, not so much. The 53-8 thrashing drove this point straight home. There are still weeks of Varsity Cup matches yet to come, which means many more beatings (for our team and others) so perhaps a primer is needed for those of us who are rugby neophytes but want an appreciation for the ruthless game. Fifteen burly men, a ball that bounces funny and more than one way to score—sounds like my kind of game. Rugby is one of the only sports I enjoy watching because as a nation we tend to prosper in that field. There’s something inspiring in knowing the team you’re backing actually stands a chance of winning (side-eyes Bafana Bafana). There is more to the game than hoping on a try though. The 15 giants on each team are made up of eight forwards and seven backs, with a bench that allows for up to eight more players. Much like life, rugby is about scoring, in this case scoring the most points by the time the two 40-minute halves have run their course. A scrum is when die manne do that intense huddle that somehow requires giving one another wedgies, pushing and shoving until the ball is kicked backwards to the mouth of their teams scrum, passed to a halfback who will either run like Forest or kick like Montgomery. There are three main ways to score points during the 80 minutes of play. Firstly a try, running through the opposing teams line of defence and touching down in their goal area, this gets five points on the scoreboard. Secondly, a conversion can add on another three points, after a successful try, the best kicker on the team (usually a flyhalf) gets a go at kicking the ball through the goalposts for what’s called a drop goal. The Varsity Cup 2014 scoring system is slightly different to regular scoring where conversions are usually only worth two points. Another difference is that penalty kicks or drop goals are only worth two points, as opposed to three. There are rules on rules on rules on how players tackle one another, go for the ball etc, but those are lessons for another day. Until then, take this primer and get out to a Varsity Cup rugby match and cheer for our boys in blue.